For those lucky Lumia owners out there, Nokia has decided to feature the BBC Radio Player app as part of it’s “cool stuff” section of its App Highlights software loaded onto every Lumia. We’re delighted at the exposure – Thank you Nokia! This entry was posted in News on Wednesday 4th April 2012 by admin. Our lead developer (and Managing Director) Richard Castle sat down with Rich Edmonds of WPCentral to discuss his software development background, the current range of BBC apps as well as his thoughts on Windows Phone for the future. Our latest project had the early preview treatment over at the excellent WPCentral website. Click here to check out the video review. We’ve been hard at work on our next project which we are pleased to reveal is a BBC podcast client. The project is in early testing, however we submitted an early preview version as an entry into Nokia’s recent AlphaLabsCC competition and we were delighted to be awarded runner up award. This entry was posted in News on Tuesday 20th March 2012 by admin. 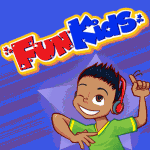 We’ve been working closely with the great guys at Fun Kids (who broadcast superb radio dedicated to young children on the UK’s DAB Digital Radio service) to bring their radio to Windows Phone. We’re delighted to announce that the app is now live on the Marketplace and available for download here. This is unique and isn’t available in standalone format on any other mobile platform. This entry was posted in News on Wednesday 4th January 2012 by admin. BBC Radio players now available! The updates we talked about in our previous post are now available on the Windows Phone Marketplace! We hope you enjoy the updates. This entry was posted in News on Tuesday 22nd November 2011 by admin. This entry was posted in News on Friday 11th November 2011 by admin. We’ve been watching the steady progress of our latest BBC Radio application and we are pleased to see that it is now the top paid application within the UK Marketplace’s Music + Video category and 12th overall in all categories! To cap it all off, the application was “featured” in the Marketplace yesterday bringing further prominence to new users. We also now appear in AppFlow by Gergely Orosz. You can find the new BBC Radio Player on the amazing new web Marketplace for Windows Phone. This entry was posted in News on Friday 14th October 2011 by admin. We released our first maintenance release for our Windows Phone 7.5 (AKA Mango) series of BBC Radio players. This update brings a few bug fixes and performance improvements which should particularily help those using the new BBC Radio Player and wishing to listen to the BBC World Service. Enjoy! Our full range of players can be found on the new Web Marketplace! We’re delighted to announce that we have released updates to all 5 BBC Radio Players to include full support for the Windows Phone 7.5 (codenamed Mango) which brings one significant and exciting feature: The ability to play your favourite radio station at any time without needing to have the application loaded! This entry was posted in News on Tuesday 27th September 2011 by admin.